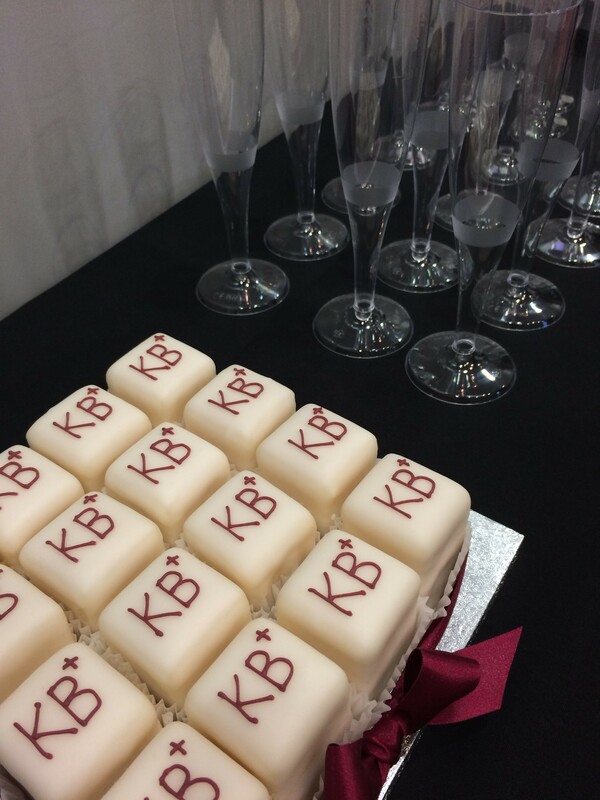 Our special edition newsletter celebrating 5 years of KB+ with comments from the community and a time line of how the service has developed over the years. Another highlight was the breakout session on “KBART Recomendations: challenges & achievements”, which included presentations from Magaly and Chrissie as well as Julie Zhu from IEEE. From the early days KB+ has championed the need for standards to help with the management of e-resources and it was really interesting to hear about what progress has been made and what we can still do to help improve the situation. It was clear from the panel that while there needs some initial investment from all stakeholders in the e-resource chain the benefits, for example increased discoverability of content, continue to be worth it. The final highlight of the conference was the people. From all the excellent speakers who generously shared their experiences and knowledge leaving me enthused, inspired and with a stack of further reading, to the serendipitous meeting of new people & exchanging new ideas and thoughts, to the opportunity of putting a face to a longstanding email relationship and finally the fun in spotting former and current colleagues on the dance floor. For me the heart of the UKSG conference is the community and I was grateful to be a part of it this year. At a recent KB+ One Day Workshop there was some interest in how KB+ can be used for comparing journal packages, examples of potential use include checking for duplication of titles across different packages, identifying which titles are potential gains or loses when considering moving from one package to another, comparing your entitlements with a publisher title list etc. There are a number of ways in which KB+ can help answer these questions and we have a series of blog posts covering the tools available. Our last posts looked at comparing a package over time and comparing one package with another. For full details of all the features in KB+ please see our help section with user guides, use cases and webinar recordings. You can see a list of all the titles relating to the subscriptions you have recorded in KB+ by going to Institutions>(your institutions)>Titles. You can filter this’ list by selecting ‘Titles we subscribe to through 2 or more packages’ to see a list of those titles which appear in 2 or more packages including their coverage details. Contact us at knowledgebaseplus@jisc.ac.uk if you require any support in using the tools I have mentioned above or if you have any examples using the comparison features in KB+ to share with the community. We have recently added some new Use Cases showing how KB+ is currently being used across the community. There are a number of ways in which KB+ can help answer these questions and we have a series of blog posts covering the tools available. The last post covered using the Comparison Tool to compare the same package over time or two different packages. You can compare a number of journal packages by using the Generate Renewals Worksheet, select Institutions > (your institution) > ‘Generate Renewals Worksheet’. Search for the packages you wish to compare and click the ‘add basket button’ Once you have made your selection click ‘Generate Comparison Sheet’ for an excel spread sheet listing all the titles in the packages. You can edit this spread sheet in excel by adding Filters and then Filtering by colour for those columns with the package name as a heading. If you filter by colour ‘green’ for all the packages you will see the titles which are duplicated across the packages. The Renewals workflow (see user guide for full details and screenshots) allows you to compare one of your subscriptions with another package. This is similar to the process above whereby your subscription is added to the basket with another package and click on ‘Generate Comparison Sheet’. As above you can then edit this spread sheet to filter by colour to see which titles are in both packages (both cells will be green) and which titles are in one package but not the other. (one cell will be green the other blank). 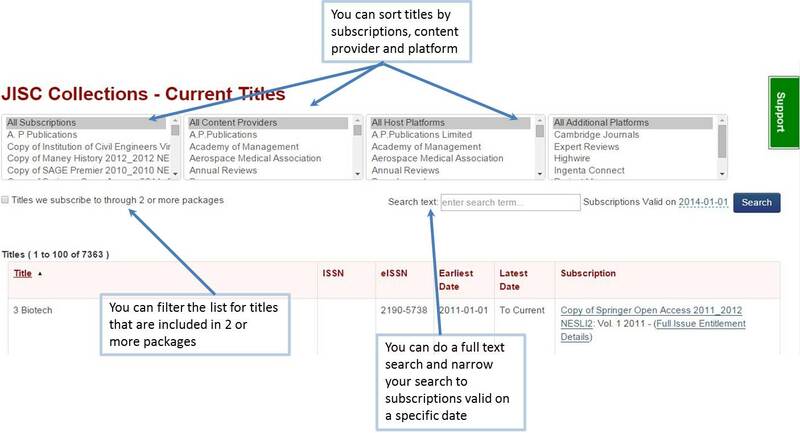 This could be useful for when you want to compare your titles against the latest publisher list to see if there are any new titles or any deletions, this could include titles that are transferring in or out of the publisher list. There are a number of ways in which KB+ can help answer these questions and we have a series of blog posts covering the tools available. You can also use the tool above to compare one package with another, please ensure you have the appropriate date relating to the package before you click compare. If you wanted to see which titles appear in both packages click on (update) and (No Change) to see all the titles that appear in both packages. Our latest newsletter has details about our new KB+ Advisory Group, our upcoming workshops and an interesting article by Paul Johnson at Staffordshire University on the role KB+ has played in a project looking at a model for recording and evaluating their digital subscriptions.